Stitches and Scissors: All different sizes quilt completed! All different sizes quilt completed! 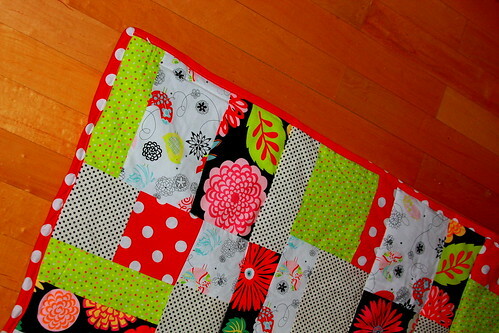 I think I need to rename this quilt as the if it can go wrong it will quilt. Everything was great when I put together the top of the quilt but once I started putting it all together (batting and bottom of quilt) things kept going wrong. 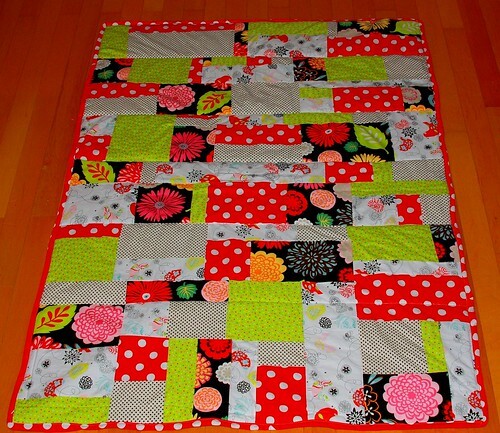 I had to un-pick so much of it because of bobbin problems and because I put on the walking foot on wrong, I didn't realize it until I had done alot of the "quilting". I broke 4 needles while "quilting" this quilt (I have NEVER broken needles)I can be so dumb sometimes, I admit it. But after having my sewing machine in the shop for almost a week, I think that I finished this quilt in great time, it ended up being 44 x 64. Another issue that I did not think about was the binding. Can you see in the picture how the dots show and then it is plain red?? That was not supposed to happen, but I kinda like it. 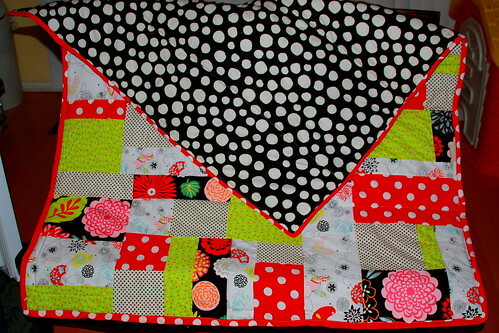 My favorite part is the back, I love the black & white dots! This quilt is for me so it is ok that it is not perfect. 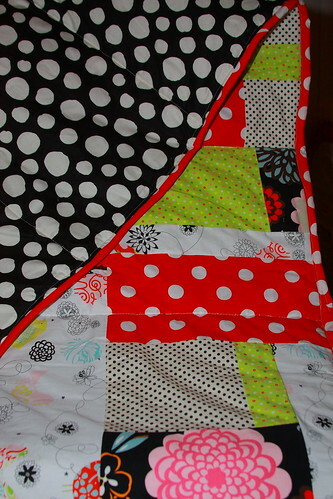 I really had a hard time with sewing the binding on this quilt, I don't know why. I did want to finish my tutorial. I did this continuous bias binding and it was really the easiest way to do it. The only thing I changed on it was that I made the strips 3" instead of her 2 1/2", I like it thicker. This is a great quilt. I am now foraying into quilt making and I am glad to have found your site. Thanks for the inspiration. Thanks. 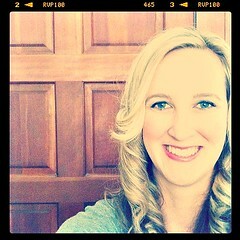 It is my favorite and it was really easy to do.